Silk Road Founder Ross Ulbricht Sentenced To Life In Prison : The Two-Way The creator of the shadowy online marketplace had faced at least 20 years in prison, but federal prosecutors had sought a "substantially" longer sentence. This Feb. 4 courtroom sketch shows Ross Ulbricht as he was found guilty in New York. Ulbricht was sentenced to prison on Friday. Ross Ulbricht, the San Francisco man who created Silk Road, was sentenced Friday to life in prison for his role in operating the shadowy online marketplace. Ulbricht faced at least 20 years in prison, but federal prosecutors had sought a "substantially" longer sentence. 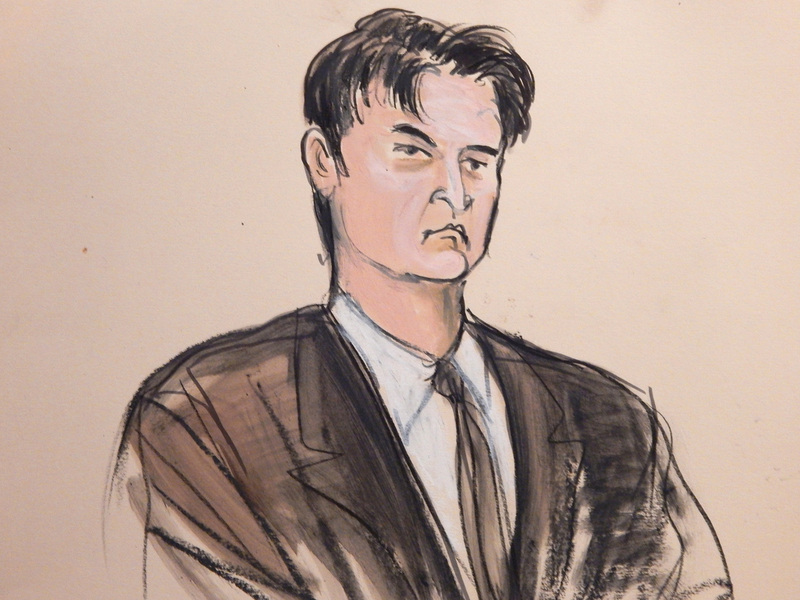 As we reported in February, Ulbricht was found guilty of seven drug and conspiracy charges. Prosecutors said his website, which had been labeled the eBay of the drug trade, allowed drug dealers and others to anonymously reach a broader base of customers. The site, which ran for nearly three years, closed after Ulbricht's arrest in 2013. Prosecutors say Ulbricht enabled more than 1 million drug deals on the site, which, along with other illicit activity, generated more than $214 million in sales, and earned him about $18 million in bitcoins. "To support a lengthy sentence, prosecutors said in a legal brief that Ulbricht's massive narcotics-trafficking enterprise had resulted in at least six drug-related deaths, including a 27-year-old Microsoft employee and a 16-year-old boy in Perth, Australia. They also said he solicited multiple murders for hire in attempts to eliminate perceived threats, though authorities found no evidence anyone was killed." Ulbricht has acknowledged creating the site but has denied wrongdoing. In a letter to U.S. District Judge Katherine Forrest filed in court last week, Ulbricht said he regretted a "very naive and costly idea." "I've had my youth, and I know you must take away my middle years," Ulbricht said in the letter, "but please leave me my old age."